With Washington’s politicians still mostly shell-shocked by the Trump-Kim meeting announcement, and the South Korean press briefing afterwards which confirmed North Korea’s ‘commitment to denuclearization’, most foreign governments were all in agreement that this news could only be seen as ‘positive’. Here is an overview of the most important reactions. 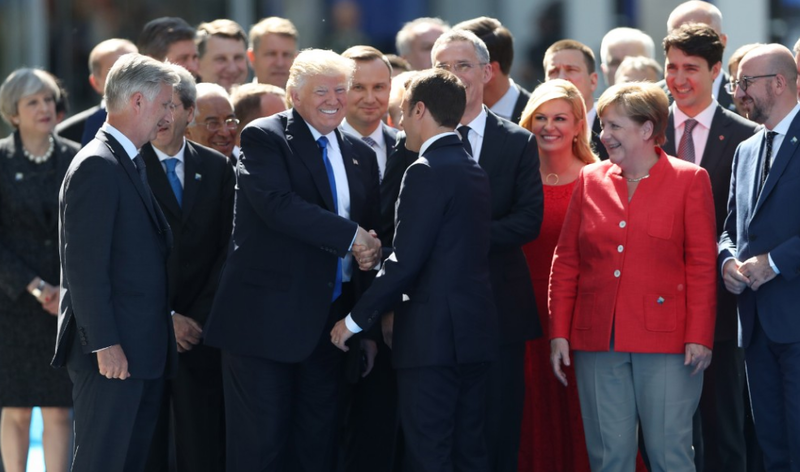 Though there were separate reactions (all positive) from France, Germany and the UK, the European Union also acted as one through its spokeswoman Ms Maja Kocijancic who said to the assembled press: "We believe President Trump's readiness to accept Kim Jong Un's invitation to a summit meeting by May also represents a positive development." Foreign Minister Sergei Lavrov didn’t mince his words and clearly stated that this is clearly "a step in the right direction" and added that "we do hope that this meeting is going to take place." As North Korea’s only real ally, the reaction was always going to be mixed, with the Chinese Foreign Minister Mr Wang Yi stating earlier that discussions would probably "not be smooth sailing." "We welcome this positive signal by the US and North Korea in having direct dialogue." "We hope that all parties can demonstrate political courage and make the right political decisions." Japanese Prime Minister Shinzo Abe welcomed the announcement and thanked President Trump for his efforts before adding that: "Japan and the United States will not waver in its firm stance that they will continue to put maximum pressure until North Korea takes concrete action towards the complete, verifiable and irreversible end to nuclear missile development."